Being in the know of history and other data of a destination helps better understand the lifestyle of locals and the optimal way to behave in. A 3-minute look through the post will get you quick facts about history, economy and geography of St. Petersburg. The city is home to 9 million inhabitants. Yes, we know all these widely spreaded figures that here live either 5 million or 4.5 million roughly. That’s official statistics of residents, those who have permanent registration here, something like…mmm… «citizenship». An additional 2 million are those having temporary registration, it’s just like … «a resident permit». Well, it’s just an analogy, the both categories have a right to live and work here. So is the third group, again 2 million, which doesn’t have any registration at all. Altogether, they make up 9 million. How do we know this? We asked folks from emercom, people who are responsible for evacuation of the city should something bad happen. They must have real figures, not just something to write down in papers. Officially, the city is third largest in Europe after Moscow and London, but this rating is based on state’s data, not real figures. Given the fact that the real figure is 9 million, we have Saint Petersburg sharing the second position with London. Saint Petersburg knows exactly the day when its founder, the Russian Emperor Peter the Great, decided to establish a city to make trading with Western countries easier and prevent the Swedish army from invading the territory. It was on May 27, 1703, that’s now the city’s official birthday. 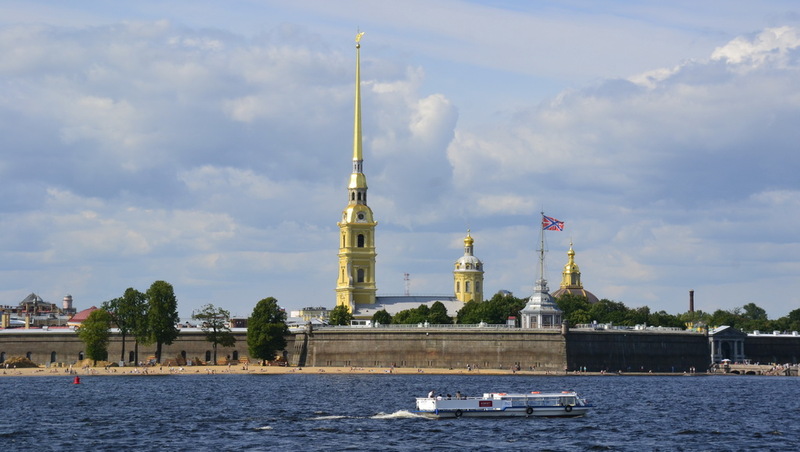 The first construction of the newly projected settlement was a fortress to monitor the Neva River and protect the land from the Swedish navy. 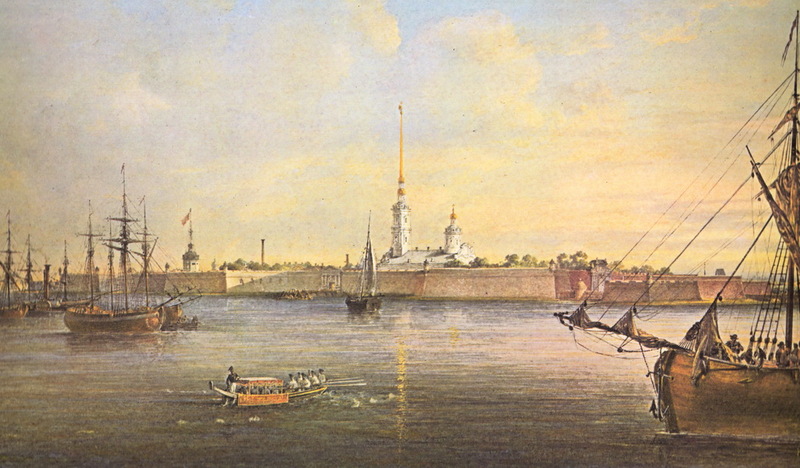 The fortification was later called the Peter and Paul fortress and might be the origin of the city’s name. It never served as a military object, we mean, it was never attacked and defended. It was mainly used as a prison, and now it is the biggest museum space in Saint Petersburg. Before Peter the Great came here to establish the city and trade port, the area was inhabited mainly by Finnish, Russian, Inkeri peasants who lived under the rule of Sweden or Russia or Republic of Novgorod. Two Swedish fortresses existed on the spot where Saint Petersburg is now: Landskrona and Nienshants. The latter was destroyed by Peter the Great’s troops in 1703. St. Petersburg is the most northern city in the world with more than 1 million inhabitants. The city changed its name for three times during its history. The city known as St. Petersburg since 1703, was renamed to Petrograd in 1914 due to the start of the WWI and the German suffix -burg. In 1924, it was renamed again into Leningrad after the USSR founder and Russian Revolution leader Vladimir Lenin. The Soviet epoch has not ended yet when in 1991 the population decided to get back to the historal roots and since then the city exists under the name of St. Petersburg. Since 1712 till 1918 the city was the capital of the Russian Empire. When the Empire ceased to exist, the Bolsheviks, having seized the power, moved the capital to Moscow where it had been for decades. Being the capital and the residence of the ruling Romanov’s family, St. Petersburg was the scene for all the events of national and European and global importance. In 1917, the Russian Revolution (in Russia it is called The Great October Socialist Revolution) changed the world landscape and the life of many people in many countries. Two of the Russian presidents, Vladimir Putin and Dmitry Medvedev, were born in St. Petersburg and graduated from the St. Petersburg State University’s law faculty and then worked in local government bodies. St. Petersburg’s professor and an outstanding scientist Dmitry Mendeleev discovered the Periodic law and the table of elements. Alexander Popov invented radio and used it for maritime rescue operations. Ivan Pavlov was studying human reflexes with the help of his famous dogs and won the Nobel Prize. Here worked Alfred Nobel who was doing business in Russia. In Fyodor Dostoyevsky’s novels St. Petersburg is not merely the place to be a stage for the action, but a hero in its full own right. Crime and Punishment, The Brothers Karamazov, Idiot and many other novels by Dostoevsky take place in the big severe city, with its grey sky and gloomy streets, the houses hanging over a man whose is trying to test the limits and find itself.